Body odour is the unpleasant smell produced by bacteria on the skin that break down the acids in your sweat. The medical term is bromhidrosis. Anyone who has reached puberty can produce body odour, as this is when the apocrine sweat glands develop, which produce the sweat that bacteria can quickly break down. The fruity smell of ketones on a person’s breath is a well-known hallmark of severe blood sugar problems, usually in the form of diabetes although hypoglycemia can also cause it. While “fruity” may sound pleasant in theory, in reality the smell can be quite off-putting. And dangerous. If your blood sugar swings too far in either direction, you can sustain severe injury or even death. This is one body odour you should never try to politely ignore. Lots of medications, both over-the-counter and prescription, have side effects that can cause body odor. For example, some birth control pills cause dry mouth, which can lead to a buildup of sulphur in your mouth. Sulphur, if you recall, is famous for its “rotten egg” smell. Also, medications like acetaminophen (Tylenol), anti-depressants, and diet pills have been shown to cause extra sweat. If you’re concerned, always read the labels for everything you take. It’s a familiar feeling: Your mind seizes on that dicey conversation you had with your boss about looming layoffs and all of a sudden your heart is pounding, your breathing increases, and you’re wiping damp hands on your dress. Anxiety triggers a release of cortisol, the “stress hormone” that helps prepare you to deal with a dangerous situation. Unfortunately, cortisol also makes you sweat. 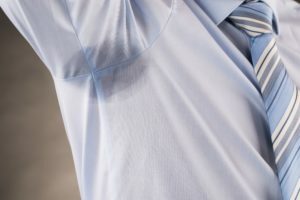 While sweat alone isn’t stinky, when you add it to the bacteria that lives on your skin, you start to smell as bad as you feel. Magnesium may be the most overlooked mineral in our diets, which is unfortunate because the more scientists learn about this powerhouse vitamin, the more they discover how integral it is for everything from energy to memory. It can even help eliminate excess body odor, as originally discovered by Dr. Pierre Delbet way back in 1928. Reporting his own observations he writes, “In a few days, if [the patients’] diets contain nothing particularly toxic, [the magnesium supplement] deodorizes them.” Did you know that eating dark chocolate could help you smell sweeter? It’s packed with magnesium! Other great sources: bran, dried corriender, raw nuts like almonds and cashews, flax, sesame seeds, and sesame butter (tahini). Bacteria, the source of your funky pit odour, love gummy bears as much you do. Eat too many sweets and not only does your waistline suffer, but according to Edward Group, a certified clinical nutritionist, the refined sugar can promote an overgrowth of yeast which in turn converts the sugars to alcohols that can cause you to smell anything but sweet. Not to mention that the by-product of all that yeast in your bowels is gas, which produces a whole other range of odour issues! Anyone who’s done a long treadmill run after a night of Indian takeout knows that foods like onions, garlic, curry, and other strong spices can make your sweat pretty fragrant, but your French fry cravings may be equally to blame. 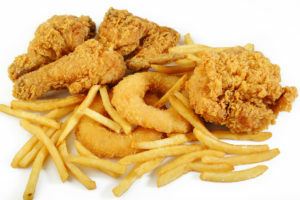 The oils in fried and baked goods can quickly become rancid, causing poor digestion and consequently body odour. Urinary tract infections are as common as they are uncomfortable, but many women don’t know that one of the first signs of a UTI is a “strong ammonia” or even “slightly sweet” odor. Your urine will likely smell off, but the infection can become so concentrated—especially if you are trying not to pee because it hurts—that the ammonia smell can come out of your pores as well. Double ouch! If you suspect a UTI, talk to your doctor immediately. Antibiotics are very effective at clearing them up and preventing future problems. It sounds crazy, but the stuff you buy to help keep body odour away may actually be making it worse. Ingredients in some antiperspirants, deodorants, body washes, body sprays, and lotions can encourage stinky bacterial growth by giving them more food. Many holistic doctors encourage patients to try using just plain water when washing and leave it at that since sweat itself has no odour. If that isn’t enough for you, you can try lemon juice diluted with water or apple cider vinegar. The acid will inhibit bacterial growth—the real source of the stench.